Little Flower Yoga is Back! Help your child start the weekend off right! 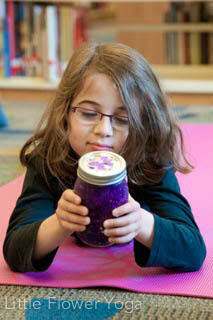 Little Flower Yoga works to support all children and teens in the development of strong inner resources. Their goal is to help kids thrive in the world regardless of circumstances, and navigate the many challenges they face with a sense of personal power and self-awareness. LFY shares yoga and mindfulness based practices that give children full access to the resources of their body, breath and mindset, and do so within the context of compassionate, respectful relationships.